"Mudabiri. The Mari Temple, which was presented to the Mission, being demolished." [English: Mudabiri. 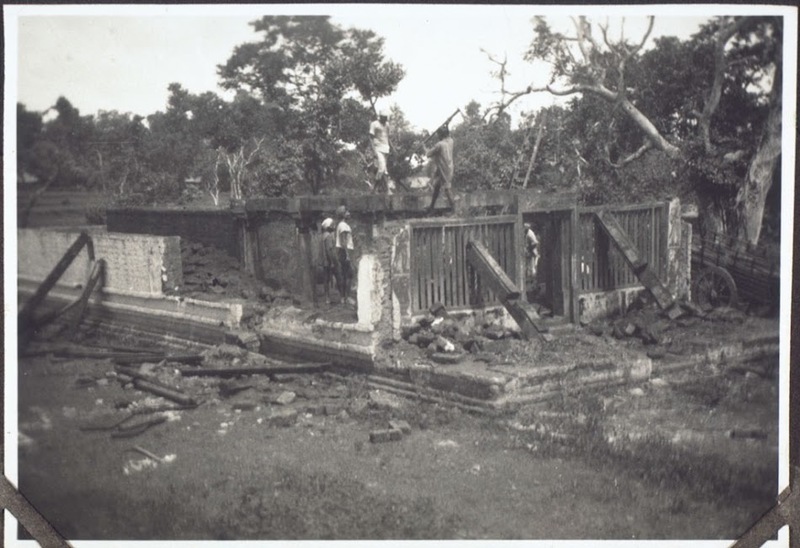 The Mari Temple, which was presented to the Mission, being demolished.]" "[original caption] Mudabidri. Der Mission geschenkter Mari-Tempel beim Abbruch." Title: "Mudabiri. The Mari Temple, which was presented to the Mission, being demolished." “Mudabiri. The Mari Temple, which was presented to the Mission, being demolished.,” BMArchives, accessed April 19, 2019, http://www.bmarchives.org/items/show/85451.